Aluminum flatbeds and dump bodies weigh significantly less than traditional steel and can really help your truck's payload and fuel economy while looking great. They are structurally tough, yet require less maintenance than a similar steel or apitong flatbed. Aluminum truck bodies will provide years of trouble free use, maintain their value and often be switched to your next truck. Cranes are a great way to lift your load. We offer cranes from Liftmoore, Tiger Crane, Venturo Crane, Stahl, RKI, Western Mule Bumper Crane, and Auto Crane. More importantly, we service what we sell! Dump bodies can speed up delivery of product to your job site or to the local dump at the end of a hard day. We feature RUGBY hoists and bodies as well as Crysteel bodies and hoists. They can be custom built from a variety of materials including Aluminum, Stainless steel and Mild Steel. AmeriDeck hoists can be used in pickup bed applications allowing one hoist to operate multiple units from the same truck. Switch-N-Go and Swap-Loader brands offer a similar product for the larger trucks. Liftgates are a great way to get your load into the bed space. We match your truck and your needs to the best available unit. From pickup trucks to big rigs and trailers, we have just what you need from 1000 lb. capacity to 6600 lb. capacity. We offer Tommy Gate, Maxon Lift, Waltco Liftgate, Anthony Lift, Palfinger/Interlift, Eagle, Leyman and Theiman liftgates just to name a few. AND we service what we sell! Ladder racks and Cab Guards can help you carry your long equipment safely and securely. We custom fabricate as well as sell & install racks from Rack-It-Rack, System-One, Prime Design, Ranger Designs Inc., Protech and Weather Guard. We offer self-ratcheting tie-down systems from Cargo-Buckle as well as a variety of LED work lights and warning lights to keep you safe on the job. Stake side gates can be built to best fit your unique needs. They can be solid or spaced. Or, fixed in place, lift-out, fold-down and/or swing away. We can use a variety of materials depending upon what you carry and how you need to secure the load. Industrial Truck Bodies is not just about trucks! We’re your local source for van upfitting products and installation to help you convert your cargo van into a work van. Our professional staff will help you configure a van around your needs using high-quality products from Ranger Design that are tough, lightweight and quiet. With a variety of options made from steel and/or aluminum, Ranger Design will give you an ideal mobile outfit solution for your van, regardless of your budget. Visit or call Industrial Truck Bodies so that we can get your van to work. (1) Ranger Ford - Transit - HVAC - Package F412: Ranger Design's all-aluminum HVAC Package F412 in a Ford Transit 148" Medium Roof, including a 5025 Tool Drawer, two 5010 Partsliders and a 5048 Top Edge. Drawer systems like this are available for all vans. (2) Ranger Mercedes-Metris-Base-HVAC-Package-M012: Ranger Design's all-aluminum HVAC Package M012 in a Mercedes Metris van, including bottle holders on a shelving unit. Freestanding bottle holders are also available for all vans. (3) Ranger-Sprinter-Trade-Package: Ranger Design's all-aluminum Service Package G717 on a Mercedes Sprinter 170" High Roof, including incredibly tough and quiet drawer cabinets, workbenches and lockers. (4) Ranger-Ram-ProMaster-Delivery-Package-E119-3: Ranger Design's all-aluminum Delivery Package E119 on a Ram ProMaster 136" High Roof. Some of the folding shelves in this picture have been folded flat against the wall. When all of the fold-away shelves are upright, a pallet can bhe placed inside of all large European-style vans like the Ford Transit, Mercedes-Benz Sprinter, Nissan NV and Ram ProMaster. This shelving system also allows flexibility to package delivery companies when smaller4 boxes need to be stored. (5) Ranger-City-Express-Side-Partition-3010-NS: Ranger Design's all-aluminum Contoured Partition 3010-NS on a Chevrolet City Express to provide the ultimate driver safety, comfort and quietness. With a variety of configurations and door styles for all vans, we have a solution for your need. (6) Ranger-Clear-Top-Composit-Van-Partition-3320PC: Ranger Design's Max View Partition 3320-PC on a Ram ProMaster City includes a clear top to allow for 180 degree visibilty while increasing driver safety, comfort and quietness. 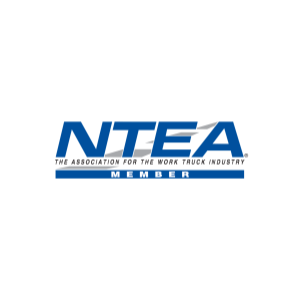 Currently available for most small vans, the Max View composite partition won the 2016 NTEA Work Truck Show aware for Most Innovative New Product. (7) Ranger-MaxRack-Drop-Down-Ladder-Racks-for Vans: Ranger Design's new gas shock assisted, drop down mechanism is available for all full-size vans. These drop-down racks are quicker, safer and more rugged then other drop-down racks on the market. Additionally, stationary cargo racks and ladder racks are available for all van models, regardless of height. Alarm Installation & Service; Cable Installation & Service; Catering; Contractor; Delivery; Electrical/Electrican; General Contractor; HVAC/Heating & Air; Locksmith; Mechanical; Mobile Service; Plumber/Plumbing; Telecommunications; Work Station; and More. Bins; Bottle Racks; Bulkheads; Cab Boxes; Cargo Racks; Catering Racks; Drawers; Floors/Flooring; Folding Shelves/Fold-Away Shelves; Hooks; Ladder Racks; Lighting; Lockers; Locking Doors; Paper Holders; Partitions; Racks; Reel Holders; Seat Covers; Shelving; Steps; Straps; Window Grills; Work Benches; and More.